I’ve smoked quite a few Cornelius Toros since I first reviewed it in 2016. It’s a remarkably consistent cigar, from the looks of its light-brown Ecuadorian Habano wrapper to the opening puffs of sweetness that are followed by some spice and nuts. The Cornelius burns slowly and smokes smoothly. I thoroughly enjoyed the latest one, and I think most smokers will, too. With its very dark Honduran wrapper, Magic Toast stands out on the cigar shop shelf. And it should. This medium-strength, three-vitola line, introduced at the 2018 IPCPR Trade Show, is a stand-out cigar. The floral start is almost Cuban, with other flavors such as coffee, cedar, and tobacco sweetness coming and going after about an inch. Magic Toast is a smooth, well-balanced cigar featuring a double-binder of Nicaraguan and Honduran tobaccos, and filler from the same two nations. The Toro (6 x 52) is about $9. I recommend picking one up. Compiling the annual StogieGuys.com cigar retrospective is always interesting. How many smokes did we find outstanding? 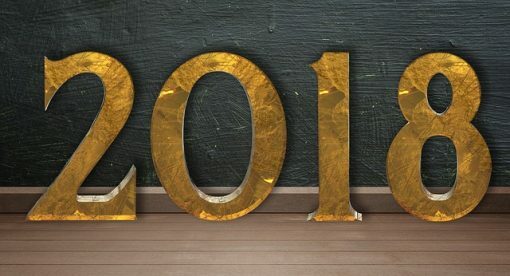 How does this year compare to the past? Was there any dominant brand or startling newcomer? 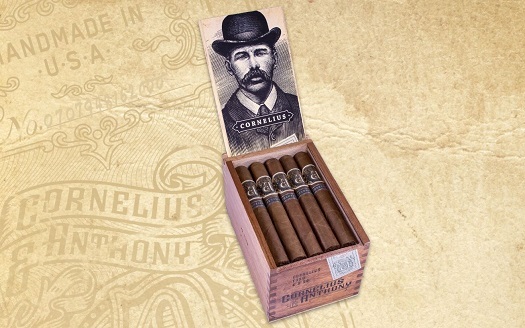 Illusione cigars have long been highly enjoyed at StogieGuys.com. Dion Giolito’s brand has two other five stogie-rated smokes, as well as others with an outstanding four and a half stogie-rating, including one this year. For comparison, we had four five-stogie cigars in both 2017 and 2016, six each in 2015 and 2014, and two in 2013. Considerably more cigars were rated four or four and a half stogies, numbers not dissimilar to those of 2017. 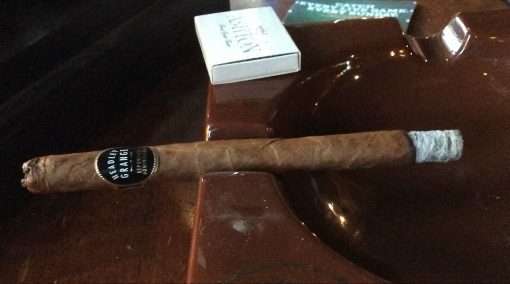 I tallied 22 four-stogie smokes (the same as last year), and 13 four-and-a-half-stogie smokes (down three from 2017). They run the gamut from small company productions and limited editions to a couple Cubans to releases from cigar giants. Below is an alphabetical listing of the four-and-a-half-stogie cigars from 2018 with a quote from each review. We look forward with great anticipation to the wonderful smokes 2019 is sure to bring. 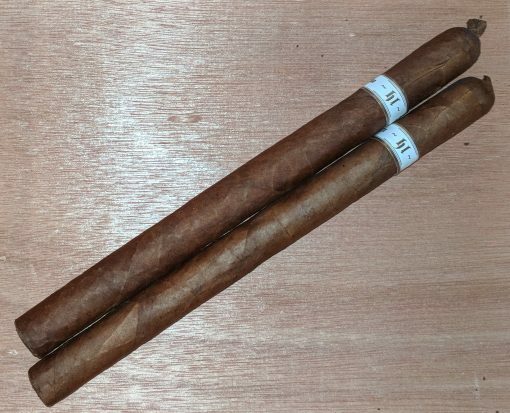 When Crowned Heads released the original limited edition Drumstick lancero (7.5 x 38) in 2013, it quickly became a highly sought-after, much-praised cigar. The re-release last year didn’t seem to garner the same response, despite reportedly being the same as the original with only a smaller production level and the addition of a black foot ribbon. It’s a medium-strength smoke with a smooth Ecuadorian Sumatra wrapper and Nicaraguan binder and filler tobaccos. There’s pepper, though it’s not overwhelming, and some sweetness mixed with nuts and floral notes. All in all, a fine cigar for about $10. Just a few puffs into this cigar, I almost put it down. That’s a step I rarely take, but the Lunatic was so rough and harsh it was hard to imagine working my way farther down its fat frame. Fortunately, I didn’t give up. And the cigar, one of a budget line introduced several years ago by Aganorsa, did improve. Slightly. Also on the positive side, it performed well, though as is typical of big ring gauge cigars, several lighter touch-ups were necessary. Overall, though, I found the Lunatic to be an unsatisfying cigar with little to recommend it. To death and taxes as the certainties of life, I think it’s time to add the best-of list. And since we’re cigar smokers, it’s lists of those for which we’re getting ready as year’s end nears. There are certainly enough lists to keep us busy. Magazines, blogs, podcasts, shops—seemingly almost everyone who lit a cigar compiles a list. The 800-lb. gorilla of the tally trade is, of course, Cigar Aficionado’s Top 25. Landing at the number one spot immediately catapults a cigar to stardom, creates shortages, and can leave a long-term impact on the brand owner. Inaugurated in 2004, Cigar Aficionado’s list was once a singular event when the print edition rolled off the presses. Now, it is a weeks-long reveal with online fanfare. Others, such as Cigar Journal, also go the online rollout route. About as common as the lists themselves are complaints. This one doesn’t do this, that one does that, why don’t they consider this, why would they consider that. And on and on and on. Let’s be honest. No one is going to put together a list of nearly anything without some disagreement. But for kvetchers, Cigar Aficionado certainly seems to be the top target. A couple of the primary complaints are that they don’t limit the selection to the year’s new releases and that the judges lean too heavily in favor of stronger cigars. Then there is the allegation that they’re influenced in their reviews by advertising, a charge that, to my knowledge, has never been supported by any evidence. Cigar Aficionado has become more open about its process. The magazine has been more transparent about the ranking procedures, even having executive editor David Savona appear on podcasts to talk about it. Personally, I have no significant complaints about any of the lists. I look forward to them. I’m always curious to see what other smokers think. Best-of lists also introduce me to cigars with which I’m unfamiliar and frequently prompt me to try some I haven’t had. How about you? Do you pay attention to the lists? Any lists you particularly value and seek out?